With daffodils and snowdrops erupting into a carpet of flower everywhere, It is as if a distant trumpet call is arousing nature from its winter slumber in preparation for the forthcoming Spring. It’s a trumpet call with refrains of joy and promise of the great outdoors beginning to stir once more like a giant shrugging off the effects of a deep sleep. This distant clarion call has but one verse repeated over and over again like a mantra, “March has arrived, Spring is coming”. March the month that is fabled in the UK for coming in like a lion and going out like a lamb. March the transitional month that day by day leaves behind the clinging tendrils of winter and beckons the ever warming embraces of the forthcoming Spring with its lengthening evenings. As winters go in the UK, apart from a few nights of frost the winter has been exceptionally mild. Unfortunately it has also been the wettest winter on record accompanied by a continuous barrage of storms from the Atlantic causing serious damage and flooding issues across the country. 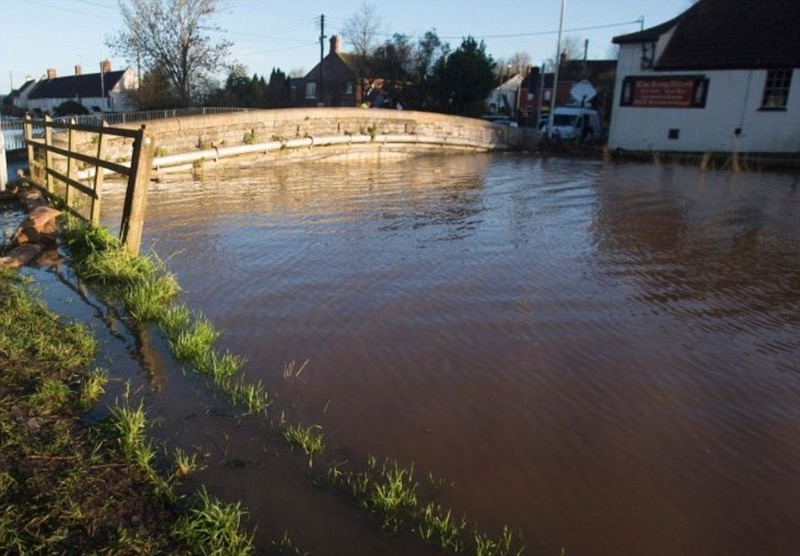 The first of the real heavy rain started on Christmas Eve and many residents, particularly in Somerset, forced to leave their homes are only just starting to regain access to their property as flood levels slowly recede . Alas regaining access to property does not mean being able to live there due to extensive damage caused by floodwaters. Floors have to scrapped and replaced as well as furnishings. Walls have to be dried and stripped back to bare brick for treatment. It is estimate that the repair process to individual homes will take an average 7-9 months. The big question is could this damage been avoided? The Somerset Levels flooding in winter is not in itself news, it frequently happens usually without significant damage to property or farmers crops. But the depth and duration of the flood not only during the last winter but also the one before has given vent to the anger of residents who have been saying for years this was going to happen unless preventative measures were taken. Alas there are no ears more deaf at times that the ones sheltered behind the impermeable walls of Whitehall. More concerned about saving derisory amounts of money on internal budgets than having the foresight to see the vast costs incurred by flood damage, repairs and loss of business. It is only after the proverbial floodgates have opened are politicians to be prised from their cosseted surroundings into action. Give his due, but then it is his job, the Prime Minister did visit the Somerset Levels. This was however only after what were perceived as disastrous PR visits by the Environment Secretary Owen (I have forgotten my wellies) Patterson and a separate visit by the Chairman of the Environment Agency Chris Smith upon whom vexed residents unleashed their wrath. Whether driven by a politicians sense of self-preservation or not, the Prime Minister made it clear that money was not an object in resolving the crisis. A battery of huge pumps from Holland have since been brought in to help lower the water levels and a 20 year plan has been devised to help alleviate the problem of a more permanent basis. Part of the relief plan is to start dredging the rivers this month as soon as the river banks become firm enough to allow heavy equipment to be safely used. Some estimates have placed to cost of the 20 year plan as high as £100 million and it will remain to be seen if the enthusiasm for money not being an object statement, drains away with time like the floodwaters itself. In the days following the Prime Minister’s visit, leaders of other political parties not wanting to be left out, or seen to be left out of the picture descended on the area like a flood of their own. Each one making most of the sudden photo-opportunity. Many families at the time struggling like King Canute to hold back the ever rising flood waters from their own homes found this procession of opportunistic politicians somewhat nauseating.Perhaps for some this might also be their first and last visit. Although not entirely the cause of the problem, the lack of dredging over the years due to what some would say were penny-pinching savings, were clearly a major contributory factor in the levels of flood water rising as high as they did. As regular dredging stopped, so the rivers became narrower and shallower as silt built upon silt. A series of startling photographs have emerged in the public domain which clearly show the effect of the lack of dredging. 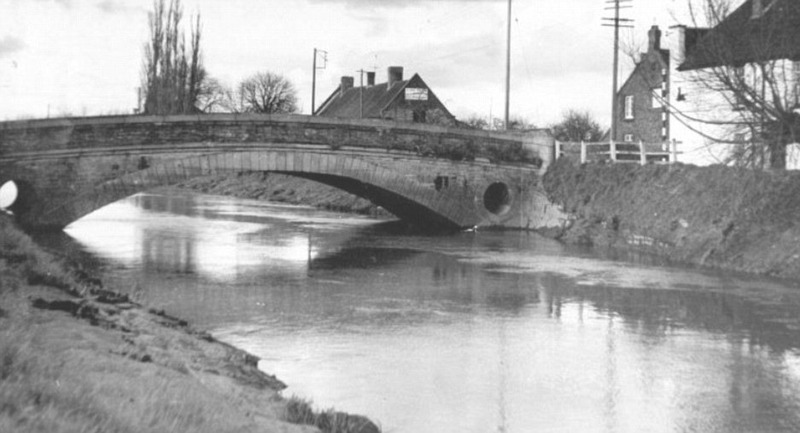 The first picture taken in the 1960’s at Burrowbridge in Somerset show the River Parrett to be wide and deep flowing. The second picture taken at the same spot last year shows by stark contrast the river has become narrow and shallow. 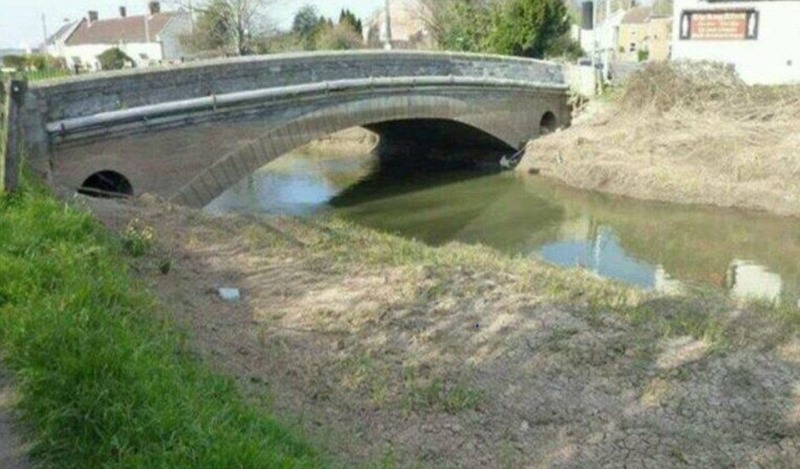 In final picture showing the effects of the flooding, it is hardly surprising the arches of the bridge have completely disappeared under flood water as the now significantly reduced capacity of the river struggles to contain the watery deluge placed upon it. Politics being what it is, primarily the art of survival, it is unlikely that any proverbial heads will roll. More likely a blame game will ensue with each political party blaming their rivals of neglect during their terms of office. The best that can be expected would be the appropriate Minister standing up in Parliament and simply saying “Sorry” on behalf of the Government before sitting down again.